Jerry Nelson: George Blaurock “The Mad Monk” Jerry Nelson had to have been the class clown. He was always looking for the next opportunity to stage a prank or to cut up. Many to this very day say it was the ultimate form of typecasting to have him play the role of George Blaurock, who was known as The Mad Monk, in The Radicals. Aside from all of the antics, Jerry had one of the biggest hearts in the world and was loved by all who knew him. Jerry’s favorite movie was Casablanca, so naturally his favorite quote was from that film: “of all the gin joints in all the towns in all the world, she walks into mine....” Jerry wasn’t known for his acting in film, he didn’t win any Academy Awards or Emmy nominations, but I think all of us who knew and loved Jerry would like to have seen him given the “Best Friend” award -- he filled out hearts with laughter and love and we miss him very much. Jerry Nelson: gone much too soon and very suddenly in 2014. 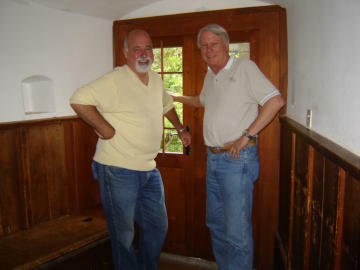 Jerry and Robert revisit the room where the baptism scene was filmed while on a trip to celebrate the 20th anniversary of the film. 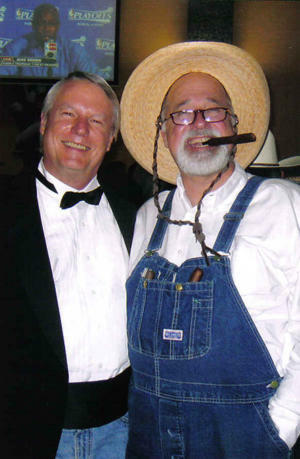 Jerry and Robert attend the screening of Robert’s film, Palo Pinto Gold. 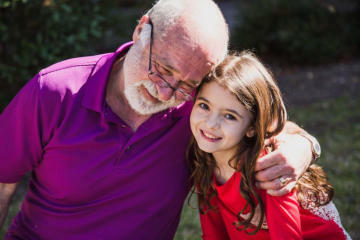 Jerry as he appeared in a University of Texas student short film project: Ruby Pop, the story of a little girl who lives with her grandfather. She wants to leave because she is tired of hearing him snore.